The success of the London Anniversary Games at the weekend has prompted Solarlux to look back proudly on the triumph of being involved in London 2012. 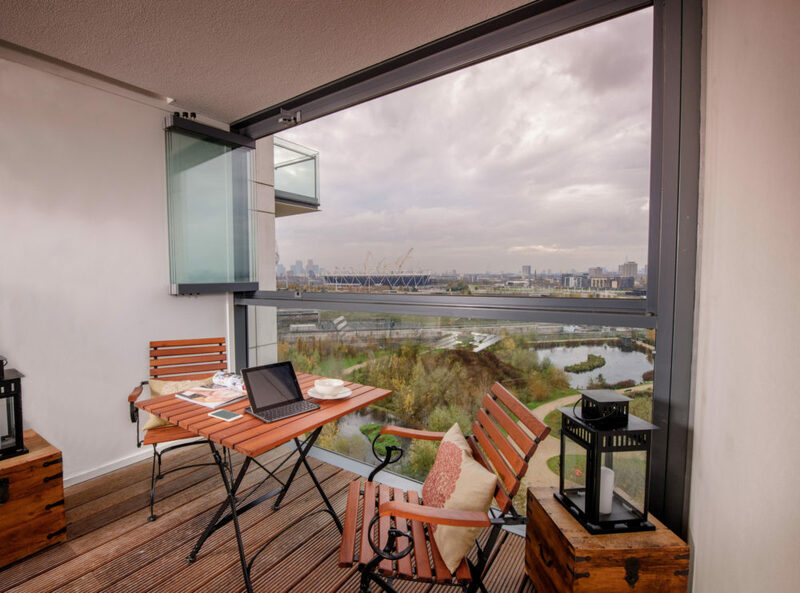 Solarlux was noted by the Olympic Committee as the only manufacturer able to meet the design specification for its Olympic Village making their glazing solutions the clear choice. Sports fans like to get as close as possible to the action to really breathe in the event atmosphere. Solarlux’s glazing concepts are designed with this in mind allowing seamless transitions between inside and outside as they extend almost boundlessly into the open. Plus special safety glass ensures all security requirements for public buildings are met. The SL 25 XXL balcony glazing solution chosen for the Olympic Village is a further development of the SL 25. It is fitted with a carriage that can bear up to 65 kg in weight, which mechanically secures tempered safety glass up to 15 mm thick. This makes it ideal for use on balconies and highly exposed locations as it more than meets all the relevant increased wind loading requirements. This frameless glazing system offers full protection against adverse weather conditions and when the glass panels are 100% open they also offer a full outdoor experience. Martijn Venema Managing Sales Director at Solarlux, said: “Solarlux’s balcony glazing concepts are specifically designed to welcome the atmosphere into buildings; a particular selling point for sporting events which thrive on their special atmosphere”. The ambience of the Olympic Park will be remembered and enjoyed for years to come. Solarlux’s exclusive glazing solutions excel in this area, offering an incredibly safe design as well as providing a superb view and an exceptionally memorable, atmospheric, experience!